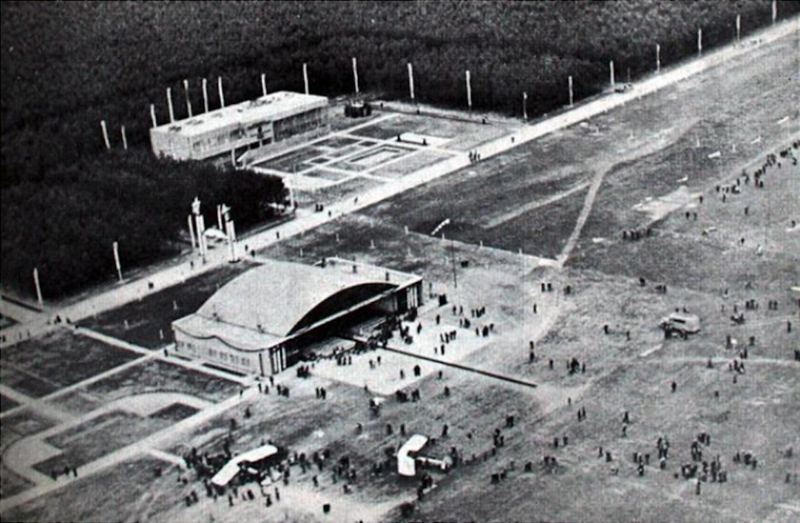 The airport in Świdnik near Lublin was established in 1934. It happened after the victory of captain pilot Jerzy Bajan in the fourth International Tourist Flight Competition called the Challenge International Tourisme in 1934, on the RWD-9. This aircraft was purchased from voluntary contributions from the inhabitants of the Lublin region. 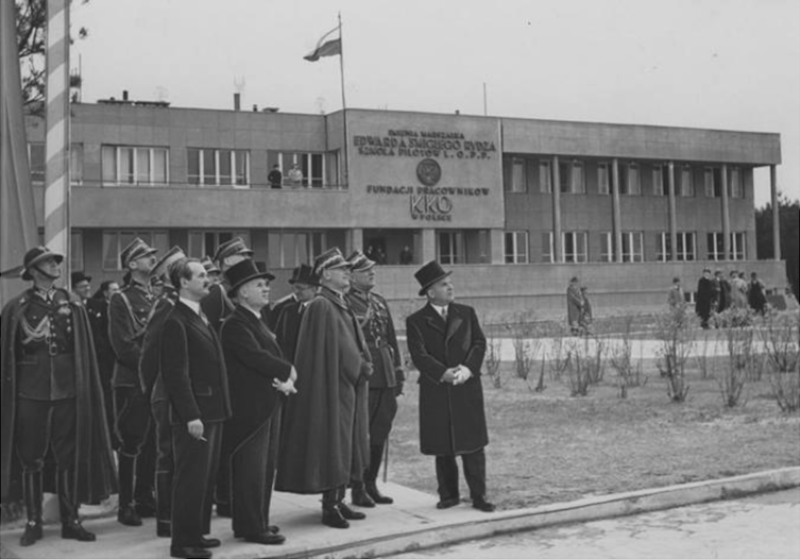 A Pilots School was established next to the airport, which was managed by the Main Board of the League of Air Defense and Anti-Gas Defense (LOPP). Modern school facilities, hangars, a fuel base and an administration and dormitory building were built. The airport and school were destroyed by the Germans during the Second World War. At the end of 1948, the communist authorities in Warsaw decided to build an aircraft factory in Świdnik. The main initiator was the then "Ministry of Industry and Trade". Design work began in the first half of 1949, and the first assumptions were developed in April-June 1949. The project was carried out by the "Department of Investment and Reconstruction of the Communication Equipment Factory - Warsaw Okęcie", which is the main investor in the reconstruction and development of the domestic aviation industry. The assumptions of the project, on June 30, 1949, were sent to the "Design Office of Prozamet Industrial Works" in Gliwice, where work began on the preparation of technical documentation, for "Plant No. 5" in Świdnik. For the execution of technical projects and construction, from May 1950, the group of designers was accompanied by: "Department of Structural Mechanics of the Gdańsk and Poznań University of Technology", "Warsaw Office of Industrial Building Projects”. In August 1949, the first construction workers began arriving at a small holiday village near Lublin. It was the beginning of the factory and the city. The location of the airport, railway line, convenient location next to Lublin and political and social considerations determined this location. To accelerate the construction of the factory, it was decided to dismantle two hangars at Krzesiny Airport and transport them to Świdnik and re-assemble them here. Production halls were built in 1952. In 1953, the production halls were already equipped with machinery and equipment. Auxiliary and service facilities were already in operation. The greatest amount of construction work took place in the years 1950 - 1953. On January 1, 1951, the Central Board of the Transport Equipment Industry in Warsaw, based on the Resolution of the Council of Ministers and the Regulation of the Minister of Heavy Industry (dated 14 December 1950), established the WSK No. 5 in Świdnik. Full name - Wytwórnia Sprzętu Komunikacyjnego Przedsiębiorstwo Państwowe Wyodrębnione - Świdnik near Lublin. Since 1951, the Świdnik Airport has been operating as an enterprise. 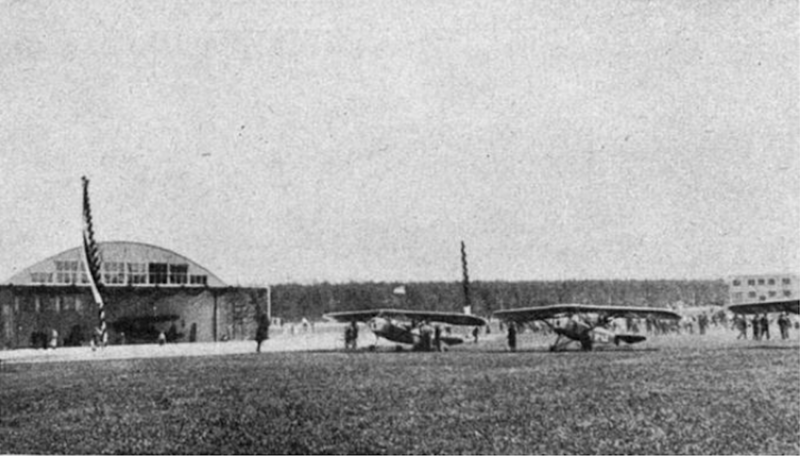 The PZL Świdnik factory and the airport were located within the pre-war School of Pilots and the Airport and surrounding forests. The area is close to a rectangle. From the south it is limited by the Lublin-Chełm railway line and along Żwirki i Wigury street. The Aviation Street from the west. Mełgiewska Street from the north. From the east, the town of Franciszkanów. In 1951, the factory received the task of launching the production of a metal MIG-15 fighter aircraft, under a Soviet license, with a turbojet engine, under the name Lim-1. After submitting the MIG-15 license documentation, which included: complete structural drawings, detailed technological processes, drawings of instrumentation and tools, technical conditions, standards and other auxiliary processes, they began to translate these materials and adapt to local conditions. At the same time, the same production was launched at WSK Mielec, where translations and training of WSK Świdnik employees were also carried out. However, towards the end of 1952, the then Central Board of the Communication Equipment Industry made major changes to the production structure of WSK Świdnik. It was decided that Świdnik from the final plant would become a co-operator for the factory in Mielec. It must be remembered that at that time Mielec had a much more extensive infrastructure. Świdnik was in production; wings, ballasts, engine bearings, tow truck and pilot seats. In 1952, the first wings and tail were produced, which were transferred to WSK PZL Mielec, where the assembly of these aircraft called Lim-1 took place. Due to the mass production, it was decided in 1953 that Świdnik will also produce the rear parts of the fuselage of these fighters. Even in 1953, the factory conducted preliminary studies on the possible launch of the production of the TS-8 Bies training and training airplane. It was also planned to start the production of refrigeration compressors. However, these tasks have not been implemented. The refrigerators were produced in Krosno. On October 11, 1952, under the name Aeroklub Fabryczny, the Świdnik aeroclub was officially registered in Warsaw, which used the company's airport. After a 13-year break in Świdnik, pilots were trained again. In 1954, the communist authorities appointed the PZL Świdnik factory as the first and only helicopter manufacturer. The helicopter has become the city's symbol. At the same time, the production of motorcycles was planned. It must be remembered that the production of helicopters in Poland has ennobled our country very much. After all, the history of a useful helicopter in the world was barely 10 years old. Of course, we were very successful in this field, but addicted to the will of CCCP, we were at their mercy. An inefficient Soviet economy was unable to undertake the mass production of Mi-1 helicopters. CCCP had to have reserves for the development of larger constructions. That is why Poland ordered the serial production of the Mi-1 helicopter. Similarly to the launch of series production Lim-1 (MiG-15), it was necessary to translate the Russian documentation into the Polish language and adapt it to the possibilities of the Polish economy. In 1956, the first four Mi-1 helicopters (known as SM-1) left the factory, assembled from parts imported from CCCP. The first flight of helicopters took place in the summer of 1956. The production was started in 1957. At that time, Poland was one of the few countries in the world where this type of production was mastered. There were only six countries in the group of copies helicopters. When the basic problems with the start of production of SM-1 helicopters were solved, the engineers started work on starting the production of the MO6 motorcycle, with a 125cc engine. In 1955, the WSK Świdnik plant produced 3,126 WSK motorcycles, model MO6, which were systematically modernized during production. Then more models were created. The MO6 motorcycle belongs to the iconic motorcycles of the Polish automotive industry. In the following years, the company developed its production. The result is the entire family of airframes: SM-1 in sanitary, school, crane, agricultural and SM-2 universal helicopters. The SM-2 helicopter is a much modernized SM-1 with an enlarged cab. In total, 1,800 SM-1 and SM-2 helicopters were built. It was a huge number. Most of these helicopters went to CCCP and other communist countries. On September 28, 1957, a ceremony was held to give the factory the name of the famous Polish air engineer Zygmunt Puławski. From now on, the full name of the factory is: Wytwórnia Sprzętu Komunikacyjnego named after Zygmunt Puławski "PZL-Świdnik". In 1958, a plinth was placed in front of the factory gate, and a model of a P-7 fighter aircraft, designed by Zygmunt Puławski, was made of it on the metal. In 2012, this aircraft was restored and went under the roof, to the new airport terminal at the Świdnik Airport. In 1963, the situation in 1954 was repeated, when the construction of SM-1 helicopters (Mi-1) was commissioned to Poland. This time, CCCP commissioned Poland to manufacture Mi-2 helicopters. Importantly, this Soviet helicopter was built exclusively in PZL Świdnik. Even the Soviets used Mi-2 helicopters from Poland. Their industry could not take up the construction of these machines, because their plants were burdened with the production of combat aircraft. The Soviets did not agree to give the helicopter a Polish designation; SM-3. The Mi-2 is a 9-seat helicopter with a MTOW mass of 3,550 kg. Powered by two turbine engines GTD-350 with a capacity of 2 x 400 hp or GTD-350W with a capacity of 2 x 425 hp. The construction of the first helicopters was begun in 1964. In 1965, the first flight was made by the Mi-2 helicopter. In total, 5,450 Mi-2 helicopters were produced. Most machines were exported to CCCP. 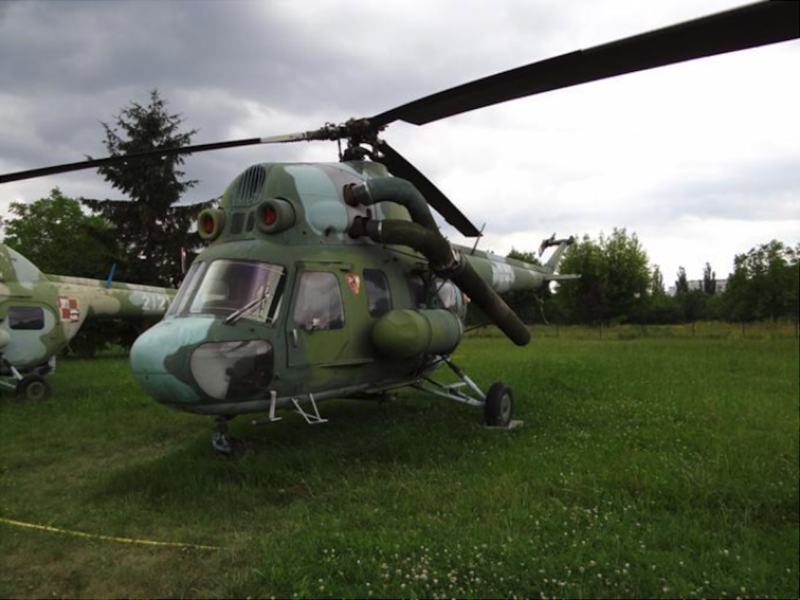 In Poland, these helicopters were used in the Polish Army and the national economy, in many versions and variants. In the 60s of the twentieth century, WSK Świdnik was a multi-plant enterprise, which included: the parent plant in Świdnik with the Aerospace Production Plant, the Automotive Production Plant, the Department of Apollo Services, the Research and Development Center of Communication Equipment and the Plant established in 1969 in Tomaszów Lubelski. In addition, WSK Świdnik was produced; pumps, clutches, forgings, wheelchairs, car trailers. The WSK Świdnik company was also a manufacturer (from 1967) of pumps and couplings for „Jelcz” trucks and buses under the license of "Berliet" and cold storage tanks installed on the "Star" and "Jelcz" car chassis. The ordinance of the Minister of Machine Industry was established on August 17, 1967, at WSK Świdnik - Zakład Doświadczalny Budowy Śmigłowców. The operation of the experimental plant was related to the implementation of topics modernizing and developing the construction products manufactured, launching new versions. These tasks were carried out together with; Moscow Helicopter Company, Institute of Aviation, Warsaw University of Technology, Cracow University of Technology, Maria Curie-Skłodowska University, Military University of Technology. Then, on the basis of the Ordinance of the Minister of Machinery Industry of March 18, 1972, the Experimental Department of WSK was transformed into a Research and Development Center for Communication Equipment (OBR). The profile of the center's activities, compared to the research and development base of the aviation industry, was focused mainly on comprehensive research and development, construction, technology, design and experimental work in the field of helicopters and motorcycles. With the participation of OBR and the Field Plant in Tomaszów Lubelski and the Field Plant in Lubowidz, the production of automotive products was carried out. The plant in Tomaszów Lubelski mainly produced motorcycle parts and assemblies, while the plant in Lubowidz was made of aeronautical elements made of laminates. In the years 1972-1977 at WSK PZL Świdnik, the production of the SZD-30 Pirat high-performance glider was launched and conducted. After the production of these helicopters in Świdnik, production was transferred to the SZLS Delta Bielsko Biała, where the construction of this glider came from. Gliders were also built in Świdnik; PW-5, PW-6. The 1970s was a period of relative opening of the Polish economy to the free world. It became clear that we can not export Mi-2 helicopters equipped with an Eastern drive to the West. (The reason was too much fuel consumption). That is why a group of Polish engineers decided to adapt Western engines. We managed to establish cooperation with Allison. This is how the PZL-Kania helicopter was created, resembling a Mi-2, but only a airframe. The drive is two engines Allison 250-C20B with a capacity of 2 x 426 hp. MTOW weight 3 550 kg. Capacity of 10 people. Bendix / King radio and navigation devices. New chassis. Due to poor financing, research and development of the PZL Kania helicopter took a relatively long time. In 1986, the helicopter received a national type certificate. In parallel with the PZL Kania helicopter in 1978, a similar helicopter designated PZL Taurus was developed. This helicopter was developed specifically for the North American market. He was equipped with the same engines as PZL Kania. However, it had other installations and equipment. The system of air grip and engine cooling has also been changed. 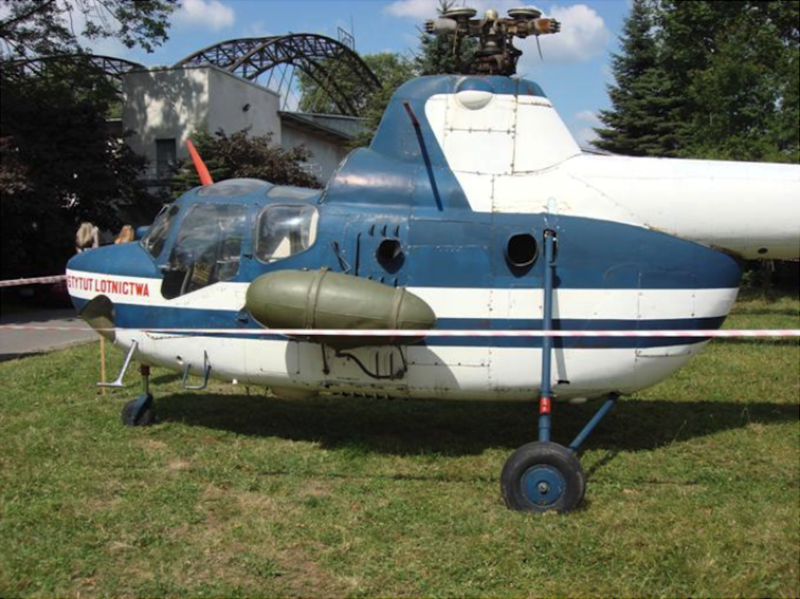 In 1974, the Ministry of Industry allowed the commencement of work on the PZL Sokół helicopter. It was a crucial moment in the history of the company's Research and Development Center. Officially, it was to be an enlarged version of the Mi-2 helicopter, developed jointly with OKB Mila. In fact, PZL Sokół is an original Polish construction by engineer Stanisław Kamiński. The prototype of the pristine flight was made on November 16, 1979. However, the official flight took place on May 6, 1982. The main problem in the development of the structure was the low financing of the project, which lengthened the work. The helicopter's construction was distinguished by many modern solutions that were appreciated all over the world. A biaxial stabilization system was developed, previously not used. The anti-icing installation has been designed as a comprehensive system. PZL Sokół is a structure designed for 14 people. MTOW mass 6 400 kg. Powered by two PZL 10W engines, power 2 x 662 kW. These engines are based on aircraft engines that power PZL M-28 transport planes. PZL Sokół is a multirole helicopter, produced in many versions; passenger, VIP, transport, crane, police, sanitary, medical, mountain rescue, sea rescue, combat. PZL Sokół received FAR-29 certificates, issued by the aviation regulatory authorities: Poland, Russia, Germany, the USA and Spain. In 1976, in WSK Świdnik, the production of subassemblies of the Soviet passenger aircraft Aerobus IŁ-86 (later also to the IŁ-96 aircraft) was started: rudders of direction and height and ailerons. The PZL Mielec plant was also involved in the construction of components for the Ił-86 aircraft. New technologies for the plant have been introduced: gluing of large-sized units and machining of complex shapes. The result of this cooperation was the subsequent launch of the production of the An-28 aircraft fuselage in Świdnik, the later M-28, whose main production was in PZL Mielec. Until the early 1980s, WSK Świdnik produced a total of over 5,000 Mi-2 helicopters, over 1,600,000 motorcycles, over 70,000 clutches. In 1985, a two-millionth motorcycle came off the assembly line WSK Świdnik. There was a whole family of birds among the motorcycles; Gil, Kobuz, Kos. They were powered by combustion engines with a capacity of 125 and 175 cm3. Nevertheless, in November 1985, a controversial decision by the authorities in Warsaw about the end of motorcycle production was made. The last motorcycle was a Kos motorbike with serial number 0102 083. In July 1988, the PZL Kania helicopter, second after PZL Sokół, was awarded the gold medal at the Poznań International Fair. In 1989, social and economic changes took place in Poland. The city of Świdnik, as the leading center of grassroots democratization of life in Poland, over time has suffered some of the greatest consequences of these processes. This manifested itself mainly with the highest unemployment in the country. The central authorities had an excellent cover in the form of a slogan - the collapse of the market in CCCP. But they did little to find new markets. I mention this below. In 1991, WSK Świdnik started the process of transforming the company into a sole-shareholder company of the State Treasury. It was the beginning of privatization and at the same time the liquidation of the Polish Aviation Industry. The workers of Świdnik did not fight for such changes. The first chairman of the board of the company was the director. Mieczysław Majewski. In March 1993, the PW-5 glider was built, which won the competition of the International Air Federation on a world-class glider. 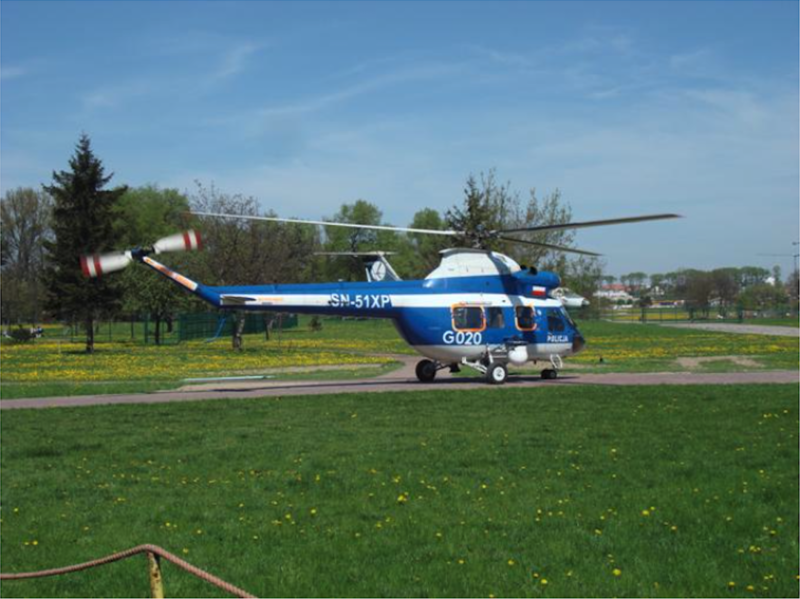 In May 1993, the PZL Sokół helicopter obtained the US certificate, which was a great success. In turn, in November 1993, PZL Sokół received the emblem - Teraz Polska. In the years 1991-1993, there was a series of mass redundancies from work at WSK Świdnik. At the beginning of 1991, 750 people were released. In July 1991, another 600 employees. At the beginning of 1993, WSK PZL-Świdnik SA employed 5,077 employees. In the mid-90s of the twentieth century, it was known that PZL Świdnik, if he wants to function, must rely on his own strength. The first step was to obtain all possible production certificates for everyone. In 1994, the ISO9001 quality assurance system was implemented. In 2000, the company obtained the AQAP-110 quality system certificate (NATO standard) and the certificate of production capacity and design in accordance with the JAR-21 standard. These certificates allowed to establish cooperation with large foreign companies, including Aerospatiale, for the production of the passenger center of the ATR-72 passenger aircraft. PZL Świdnik from the final products factory, became a subcontractor. Cooperation was established with such companies as; Eurocopter, Agusta, Latecoere, Dassault, Ratier-Figeac, Snecma, Boeing. The plant began to produce air structures: fuselages and elements of fuselage, centropads, door mechanisms, rudders, fireproof linings. The company also offered a wide range of production services: machining, cover treatments (chromium anodising of aluminum parts and structures), welded constructions, gluing of metals and composites, production of forgings. Already at the beginning of the 80's of the twentieth century, it was noticed that the Mi-2 helicopter in most tasks is a construction that is definitely too heavy. In turn, the SM-2 has had years behind it. 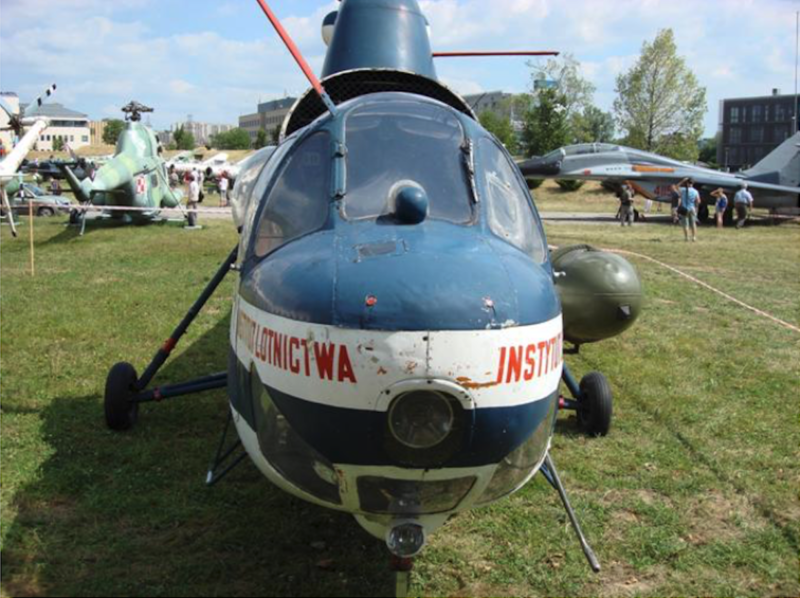 In 1981, during the International Helicopter Competition in Piotrków Trybunalski, the CCCP representation appeared on Mi-1 machines, arousing laughter and pity. While at that time, other helicopters in the air even made a loop, the Mi-1 helicopter barely rocked sideways. 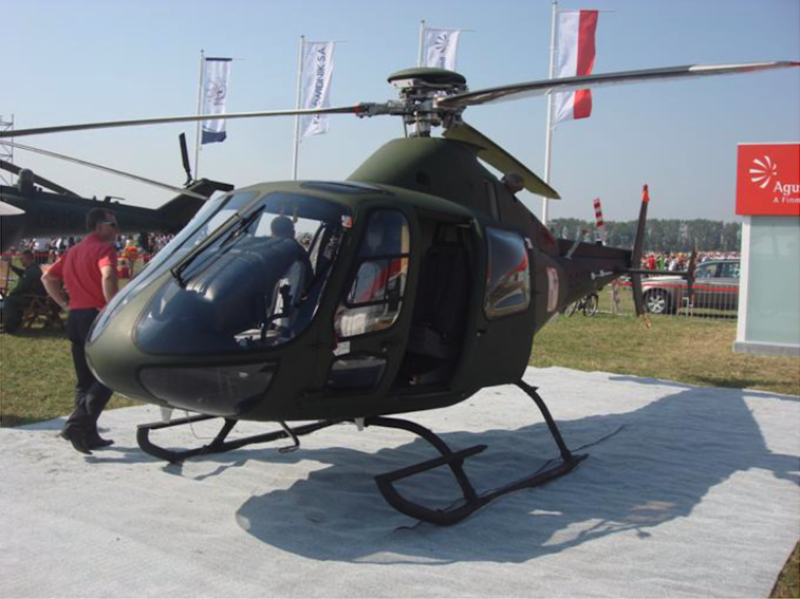 Work on a light new Polish helicopter began in PZL Świdnik in 1986. In 1987, a model was built. The program struggled with shortages of funds and every now and then its program was in doubt. Nevertheless, on October 29, 1996, the SP-PSW prototype made the first flight. In 1998, the second prototype was launched, on the registration of SP-PSZ. 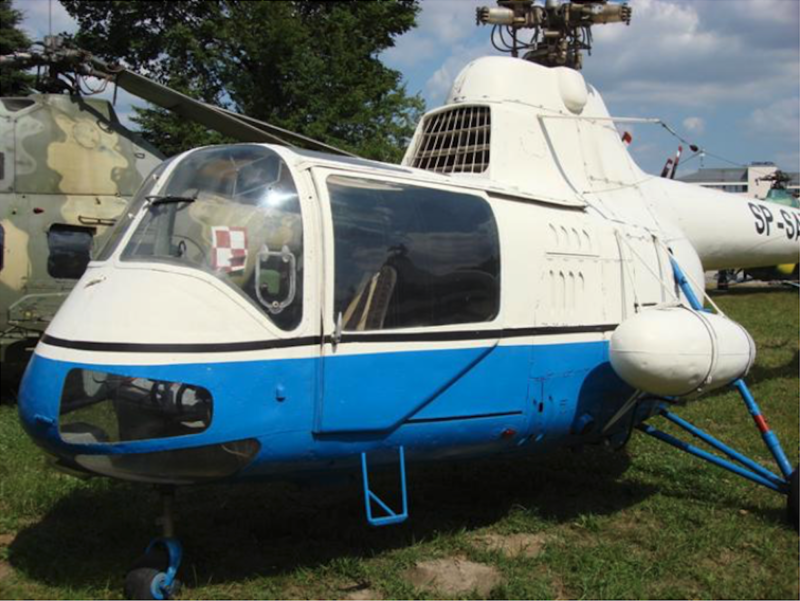 In 2002, the helicopter received the Polish certificate, based on the JAR-27 air regulations. In 2003, the Polish Army ordered one copy, with the intention of purchasing another 30 machines. 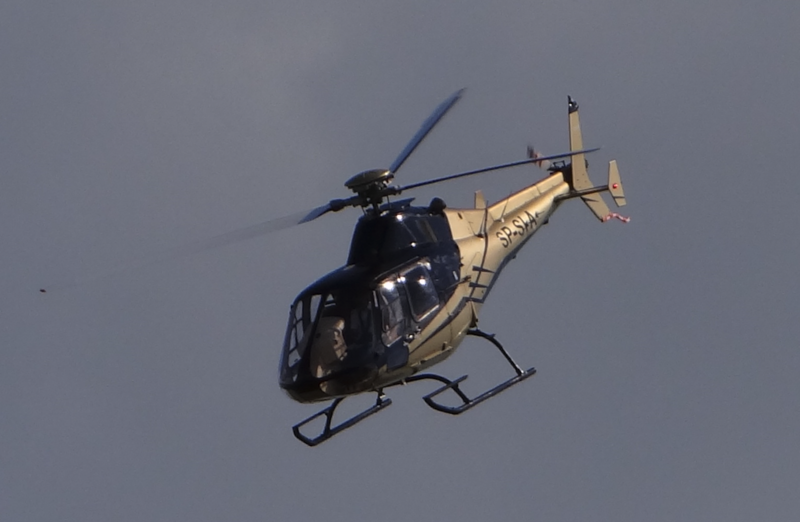 Thanks to this, the SW-4 helicopter received the EASA certificate allowing it to be sold and used in Europe. The certification procedure of the SW-4 helicopter was carried out by specialists from Great Britain on behalf of the Agency. The SW-4 helicopter is a light, multi-purpose machine powered by a 457 hp Rolls-Royce 250 C20R / 2 (SP) turbine engine. MTOW mass 1 800 kg. The helicopter takes on board up to 5 people or a pilot and 550 kg of cargo. The passenger version has a trunk for 150 kg of cargo, with a capacity of 0.85 m3. Its maximum speed is 260 km / h, and the range - using the basic fuel tank is almost 800 km. SW-4 consumes approximately 100 liters of fuel per hour of flight. The price of a helicopter (2005) on the civilian market was about US $ 750,000. By 2005, over 7,200 helicopter units were built in Świdnik. And although in recent years the production rate has dropped drastically, it should be assumed that helicopters and other aviation production will continue to be produced here. 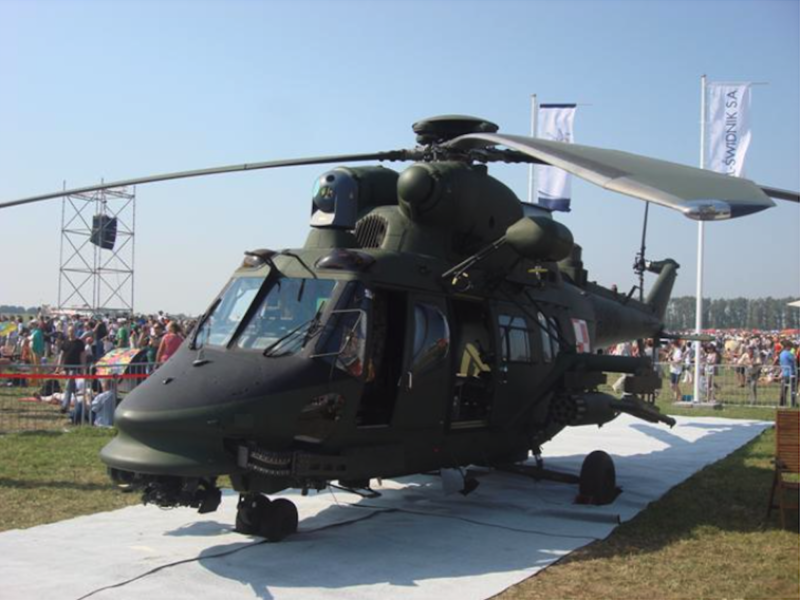 From January 29, 2010, Agusta Westland became the majority shareholder of PZL-Świdnik SA. Helicopter production AW 149 was started in Świdnik. What will affect the further development of PZL Świdnik, it will only turn out. Nevertheless, the chance for further functioning is large, although the PZL mark may disappear. 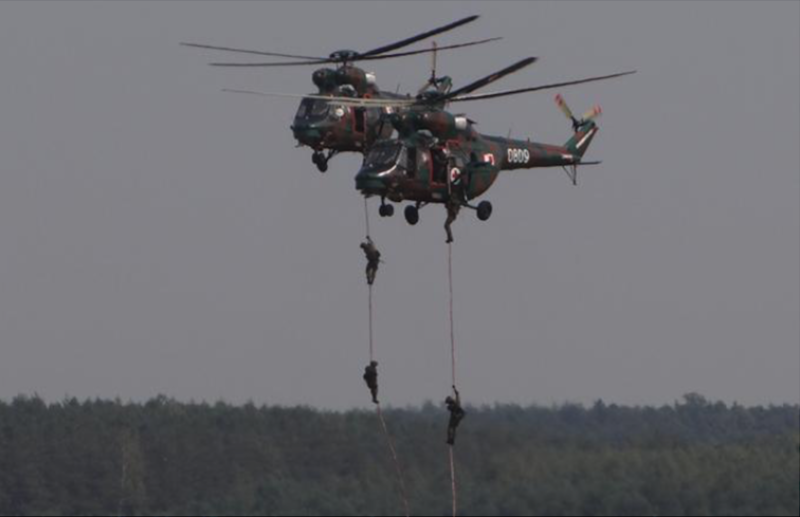 In addition, recently, the Polish Armed Forces face the necessity of exchanging Mi-24 combat helicopters for new ones. There are two competitors; Agusta Westland and Sikorsky.